There is a clear and well-established hierarchy of metals. 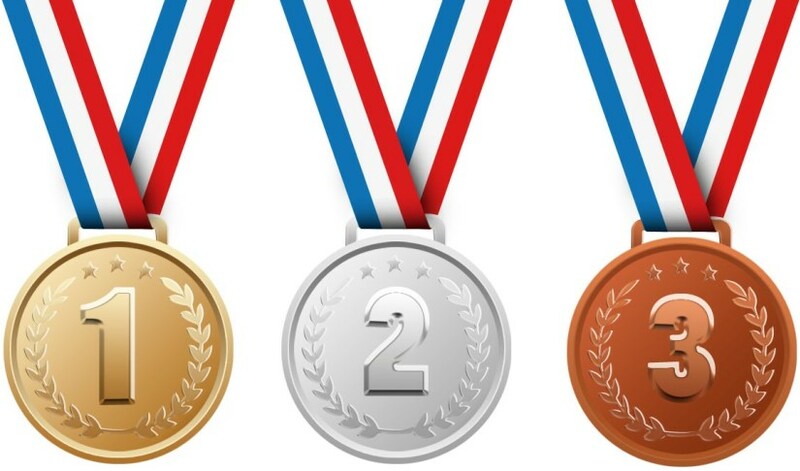 We give bronze medals for third place, silver for second, and gold for first. Well, in short, it's an expression of real and perceived values inherent to each of the metals, including their chemical properties, rarity, and beauty. Silver is considered more precious than bronze, and gold is considered more precious than both silver and bronze, for all the reasons listed above. But of all the metals, there's one that's generally considered the most precious: platinum. A traditional wedding gift for a 50th anniversary is gold. But for a 70th anniversary, the gift is platinum. Similarly, Queen Elizabeth II celebrated her golden jubilee in 2002, having ascended the throne 50 years earlier. In 2022, the Queen will celebrate her platinum jubilee. Sponsored events and programs will often recognize sponsorship levels in terms of precious metals. And you’ll frequently see “platinum sponsors” as the largest contributors. Likewise, many credit card companies and club memberships have a “gold card” and a “platinum card,” with the latter typically having greater benefits. Platinum is regarded as the most precious metal due to its chemical properties and rarity relative to gold and other metals. Like gold, platinum is very resistant to many different types of corrosion. That makes the metal a great option for wealth storage and therefore partially a monetary asset. But adding a bit more to the metal’s appeal: Platinum is much rarer than gold. According to most sources, the abundance of platinum in the Earth's crust is slightly higher than gold. But what's truly rare is really what matters. And that's platinum mines. See, the overall abundance of an element doesn't matter unless we can economically mine it. According to the National Ocean Service, the world's oceans contain 20 million pounds of gold suspended in normal seawater. At $1,300 an ounce, that's worth almost $380 billion. The problem is all that gold is distributed all over the global. It's not concentrated in one place, making mining gold from seawater completely uneconomical, at least at $1,300 an ounce and with current technologies. The same thing applies to platinum. 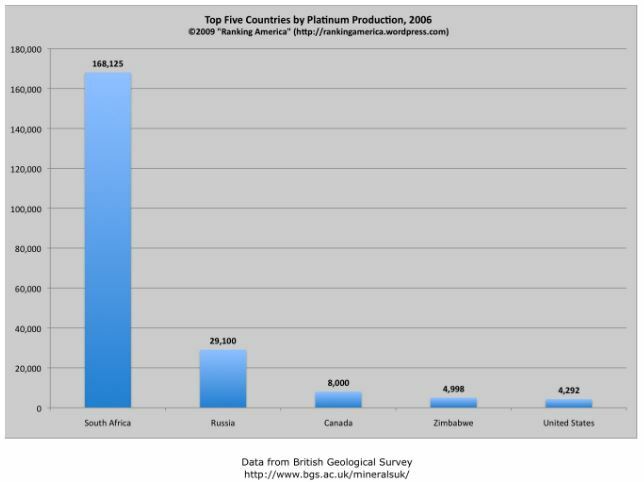 There are very few places in the world where platinum is concentrated enough that it's economically feasible to mine. There are so few that almost 70% of all the world's economically feasible platinum locations exist in one single county: South Africa. Another 15% comes from Russia. And the rest, only another 15%, is sourced from elsewhere around the world. That results in much lower overall production than gold, silver, or most other metals by a wide margin. A little under 3,300 metric tons of gold is produced globally each year. Compare that to the 250 metric tons of platinum mined annually. So at the end of the day, platinum really is much rarer in our lives than gold. And platinum has one trick up its sleeve that gold doesn’t... one that puts the metal into focus for energy investors. You see, platinum has some very special catalytic properties. Platinum can absorb large quantities of hydrogen gas. In a way, platinum soaks up hydrogen the way a sponge soaks up water. Our analysts have traveled the world over, dedicated to finding the best and most profitable investments in the global energy markets. All you have to do to is join our Energy and Capital investment community and sign up for the daily newsletter below. You'll also get our free report, Lost Rare Earth Mine Could be Worth Billions by our resident expert Jeff Siegel. And that makes it a vital material for treating exhaust from fossil fuel-burning engines. It's such an important metal for treating exhaust that most of the world's production of platinum ends up in catalytic converters, which convert toxic gas (carbon monoxide and unburned hydrocarbons) into less harmful byproducts (carbon dioxide and water). 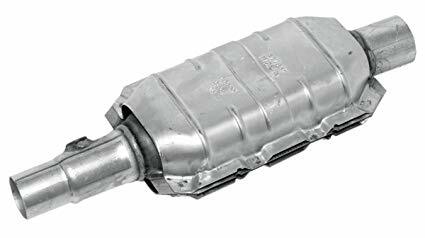 What that means is the catalytic converter market is no doubt the main driver of the platinum market. But here's the thing: To build catalytic converters, automakers can use platinum or its chemically similar cousin palladium as the main catalyst material. In other words, platinum and palladium can be substituted for each other. And that means automakers naturally opt to use the less expensive of the two. If platinum is cheaper than palladium, manufacturers buy up platinum for their catalytic converters. And if palladium is cheaper, they buy that. Of course, if the demand for the cheaper metal outpaces supply, which happens frequently due to low global production, it increases in price. Too much, and the cheaper metal becomes the more expensive metal. And that's exactly what tends to happen. Ultimately, the demand for the cheaper metal becomes so high that the cheaper metal is no longer cheaper. And, of course, once that happens, catalytic converter manufacturers just substitute one for the other again. We can see this happening through the years reflected in the platinum/palladium price ratio. Platinum and palladium have traded places as world's most expensive precious metal over the past several years. Right now, palladium sits on that throne. And that makes it an attractive target for value investors... particularly energy investors. That's because we know the demand for transportation is still on an upward trend. And despite the rise (and ultimate conquest) of battery-electric vehicles and other technologies like hydrogen fuel cells, transportation will remain mostly a fossil fuel-burning industry for the next few decades. Meanwhile, government regulations on emissions are become stricter around the world, meaning during the shift to cleaner technologies for transportation, the demand for solutions to make current technologies cleaner will be higher than ever. As I mentioned to you last week, investing in platinum has the same problems as investing in palladium: It's expensive, investment options are limited, and liquidity can be a problem. Investing in platinum is a little easier, cheaper, and just overall better than palladium. But it's not better by much. 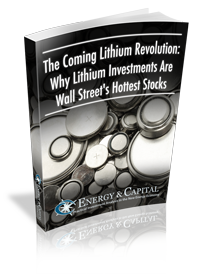 If you want to read more on my opinion on platinum investing, check out last Monday's issue of Energy and Capital. There, I'll tell you what I think is the best option for investing in platinum. The most common investment advice you get is to dollar-cost average for the long term and, whatever you do, don’t try to time the market. This is good advice for your average investor. But if you are selling when shares are expensive and buying when they're cheap, is that market timing or just good investing? Is Copper the Best Long-Term Electricity Play? Taxes go towards paying for things like roads, police, and teachers. But it's not necessary for the government to tax you to pay for those things. Energy and Capital editor Luke Burgess explains the four reasons the government really taxes us.